The Los Angeles Angels made it official Wednesday night, announcing that they signed outfielder Mike Trout to a record-breaking deal reportedly worth $426.5 million to keep the superstar in Anaheim through the 2030 season. Trout’s new contract is almost $100 million richer than the $330 million one Bryce Harper signed with the Philadelphia Phillies last month. There’s no question that Trout deserves to be the highest-paid player in baseball — he is a best-of-his-generation talent. Since 2012 (his first full major-league season), Trout ranks in the top five in home runs, runs scored, batting average, slugging percentage and on-base percentage, and leads all position players in wins above replacement (WAR). In fact, his career 64.3 WAR is the most through a player’s age-26 season in MLB history. He is a seven-time All-Star, six-time Silver Slugger Award winner, two-time Most Valuable Player (2014 and 2016), and the 2012 American League Rookie of the Year. He finished in the top two in AL MVP voting in six of the last seven seasons, and finished fourth in the other one despite being limited to 114 games that year. It’s hard to believe it was only 10 years ago when Trout made his minor-league debut, ending the season with five games played in the Midwest League. He returned to the Cedar Rapids Kernels the following year and won the MWL batting title with a .362 mark in 81 games. 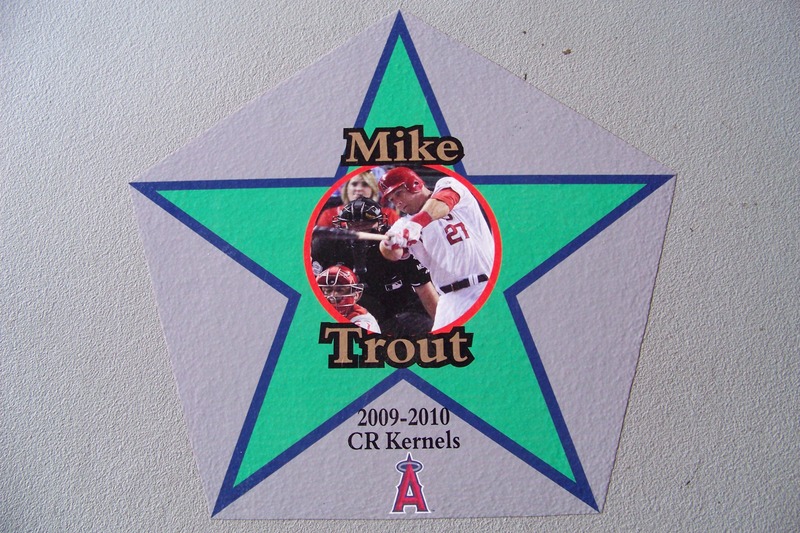 He was named the 2010 MWL MVP and Prospect of the Year. Last season Trout batted .312 with 39 HR, 79 RBI and 24 SB in 140 games with the Angels. His 122 walks and .460 on-base percentage led the American League. Trout isn’t the only former Midwest Leaguer currently in the news because of a big contract extension. Astros third baseman Alex Bregman reportedly has agreed to a six-year, $100 million contract extension with Houston, and White Sox top prospect Eloy Jimenez reportedly has agreed to a six-year, $43 million contract (which includes two club options) with the Chicago South Siders. Bregman finished fifth in National League MVP voting last year after batting .286 with 31 homers, 51 doubles and 103 RBI in 157 games with the Astros. He played in 29 games for the 2015 Quad Cities River Bandits, batting .259 with 1 HR, 13 RBI and 5 SB before being promoted to High-A to finish the season. 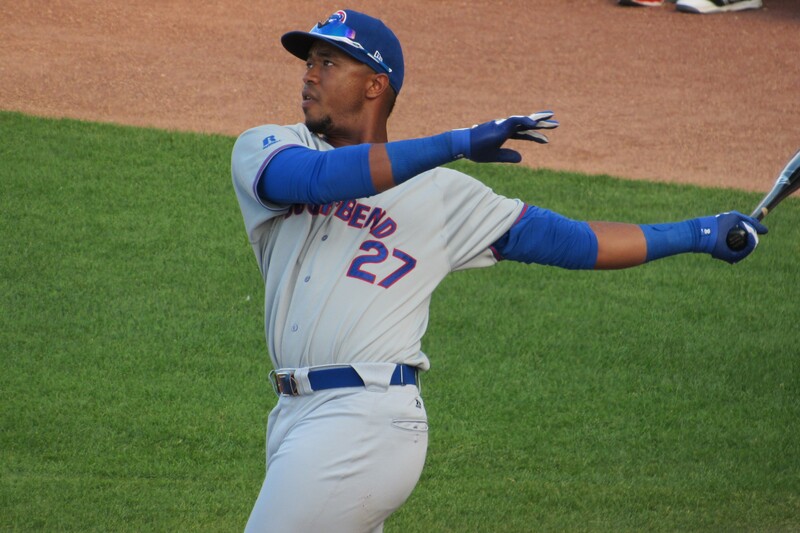 Jimenez is expected to make his MLB debut this year, after cumulatively batting .337 with 22 homers, 28 doubles and 75 RBI in 108 games split between Chicago’s Double-A and Triple-A affiliates last season. The White Sox acquired him from the Cubs in July 2017, less than a year after he won the MWL MVP and Prospect of the Year awards. Jimenez batted .329 with 14 homers, 40 doubles and 81 RBI in 112 games with the 2016 South Bend Cubs, and earned the MWL All-Star Game’s Top Star Award along the way. This entry was posted in Cedar Rapids Kernels, Midwest League, Quad Cities River Bandits, South Bend Silver Hawks. Bookmark the permalink.